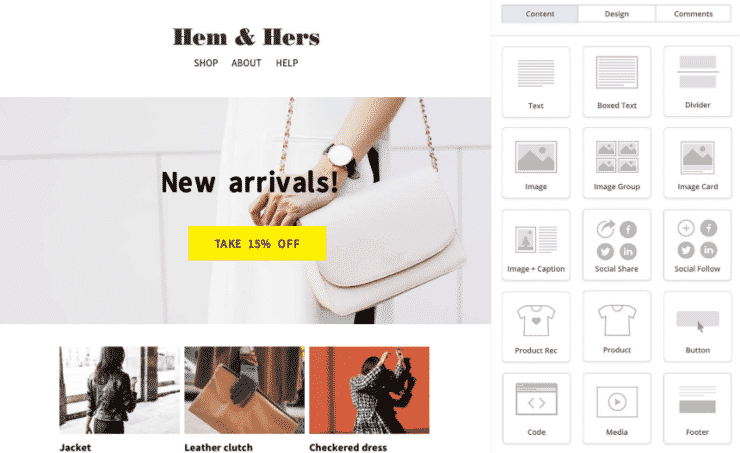 So, you’re ready to launch a new online store? That’s great; technology has advanced so much over the last few years, that you can leverage better tools for website creation than ever before. The downside is that more people are thinking like you now, too. Your competition is more fierce. So, if you want success, you need to include all the bells and whistles in your strategy – don’t forget big data. Here’s a blueprint for creating a data analysis strategy that will boost your revenue like you never dreamed before. When setting up your store, you need to think like you’re speaking to an individual. Modern copywriters know not to speak to a site visitor as if he were a group of shoppers. Be mindful that 48% of consumers are more likely to spend money if their eCommerce experience is personalised. The more personalised you make the buyer’s journey, the more revenue you’re going to earn. The more data you have about your customers, the better fit you are to customise a user’s experience of your store. Here are some tools that can help you tailor shopping experiences from person to person. A customer relationship management (CRM) platform can help you analyse and track consumer data inside your website. Many CRM platforms offer a free trial so that you can shop around to find the right one for you. I like Teamgate because it’s easy-to-use and the customer service experience is excellent. An email marketing platform will provide you with engagement rate insights and comparisons with others in your industry to keep you in competition with the rest of the market. MailChimp is the industry standard for beginners in email marketing. This platform is free for up to 2,000 contacts and 12,000 emails per month. If you decide to go with an all-in-one marketing and sales platform, you won’t need your a CRM or an email marketing platform. HubSpot and SalesForce combine marketing, email, sales, and CRM into one dashboard. These two platforms are on the expensive side, but well worth the cost (once you get past the learning curve). Each of the above tools will provide you with invaluable insights about shoppers on your website. Use what you discover to customise the shopping experience for each individual on your site. When diving into the development of a new web store, it’s easy to get carried away with a million details. I’ve seen entrepreneurs try to launch an eCommerce website five times in five years, never making a sale to fuel their website creation efforts. So, when you start your journey, handle what’s directly in front of you, and walk the path one step at a time. When you have what you need to get started, power-up your analytics strategy: then stop. Before you get carried away with implementing changes on your site based on the data you find, take some time out to watch. Then, create a plan. Once you have created a strategy to appeal to more buyers, take the steps to implement it, then stop again. Once the foundation has been laid, you can start building up your product pages. Post only what you are ready to sell. If you plan on expanding, you can add more products at any time. Don’t get carried away with “coming soon” pages – they’ll only turn people away. When your website is at the point where a customer could potentially land on it and make a purchase, connect your website with your social media profiles. You want social sharing tools and social follow buttons so that your website traffic can connect with you. Once your website and profiles are connected, double-check that your social media profiles are set up as “business” accounts., because you want access to all of the analytics tools available on Facebook, Twitter, Pinterest, and any other social marketing outlets you use. Depending on the tools you are going to use for analytics and your content management system (CMS), you may need to use a tool like Zapier to connect your website. Through Google Analytics tracking, you will be able to see, in real time, how many people are on your website. You will also see targeted demographic information and traffic behaviour. Connect your website and your tools with Google Analytics to monitor your store and generate vital reports. After you build and connect everything, you are ready to launch. Use big data insights generated by the combination of the tools above to power your design, marketing, and sales campaigns from this point forward. Ashley Kimler is content marketing dynamo and writer working with Heroic Search in Tulsa, where her team specialises in boosting modern pagerank for all sized businesses. Follow @ashleykimler. Are you producing the right content?